Heart energy. It comes from an always loving and wise Higher Source. Nurturing, warm, quiet, refined, and all encompassing, heart energy brings spiritual growth that fosters creativity, attracts loving relationships, and engenders peace and happiness. This practical book not only teaches you how to live from your heart but also provides scads of activities to practice doing so. 2016 FOREWORD REVIEWS INDIES Finalist! A US Review Recommended Book of the Year! MidWest Book Review – Reader’s Favorite Book! Book of the Year! 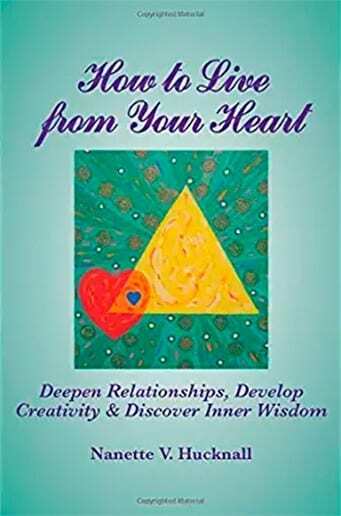 How to Live from Your Heart: Deepen Relationships, Develop Creativity, and Discover Inner Wisdom has been nominated as Book of the Year by Foreward Reviews.